Truck accidents are a serious public health hazard, causing thousands of American deaths every year. According to CNBC, fatal truck crashes have been steadily on the rise since 2009 throughout Florida and the rest of the nation. The Gainesville Sun reports that heavy truck accidents along the I-75 in Alachua, Marion and Sumter counties nearly doubled between 2011 and 2015. 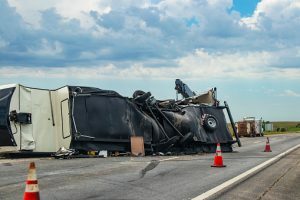 If you or a loved one has been injured in an I-75 accident, an experienced Bradenton truck accident attorney can ensure that you receive the legal compensation to which you are entitled. Truck drivers and trucking companies are legally responsible for compensating injuries caused by their negligence. Why Hasn't Anything Been Done to Protect Florida Drivers From Truck Accidents? In most other industries, this many deaths would attract national attention. Unfortunately, fatal truck accidents often occur in small numbers all across the country, and do not often receive significant media coverage. Accidents like those involving actor Tracy Morgan are the exception. CNN reports that the driver of the truck which rear-ended Morgan's limo bus had not slept in twenty-eight hours. There are also systemic problems in the trucking industry which have caused the turnover among truck drivers to remain near one hundred percent. Long hours, low pay and tough working conditions make it a difficult job to sustain. Truck driving is also a dangerous job: the Bureau of Labor Statistics reports that, in 2015, more than 25 percent of all workplace fatalities in America occurred in the trucking industry. The high turnover rate means that truck drivers on the roadway are almost always inexperienced. It also means that trucking companies do not always thoroughly screen for problem drivers - especially those with a history of trucking and traffic violations. Allow plenty of distance between your vehicle and any nearby big rigs. Large, heavy vehicles require greater stopping distance than small or light vehicles. Make sure your vehicle can be seen by truck drivers. Trucks have large blind spots, which can make it difficult for drivers to see smaller vehicles around them - especially at night, during inclement weather, and other conditions which lead to poor visibility. Use your horn and headlights as necessary to make your presence known. Watch for swaying, swerving or any other pattern which indicates the driver might not have complete control of the truck. This is a particular problem for tanker trucks, as liquid cargo creates a "sloshing" effect with powerful momentum. Slow down and put more space between your vehicle and the truck any time you notice such movements.